New accessories shop TenOverSix is keeping busy with its developing in-house label, and, coming Tuesday, November 4, eco fashion label EDUN will pop-up with its fall/winter collection Nocturne. 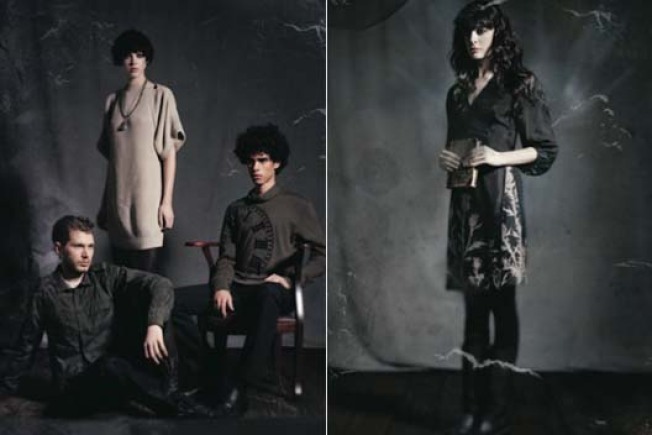 From The Pipeline: "Not only is the collection beautiful in a gothic/rock n' roll sort of way, the line, launched by Irish lad Bono and his wife Ali Hewson, is constructed entirely out of organic materials and provides employment in maturing economies. As if that weren't altruistic enough, fifteen percent of total sales will go to the non-profits ONEXONE and H2O Africa Foundation."